As a child growing up in the Milwaukee area, Dr. Lauren suffered from sinus infections, asthma, and allergies. During her time in high school and college her health issues continued to get worse. While in college at Drake University, Dr. Lauren decided that something had to change and she could not continue to feel the way she was feeling. Around the same time, Dr. Lauren was training for her first marathon and knew if she felt better she would perform better and achieve her goal of completing her first marathon. She was determined to regain her health and stay healthy. As luck (or maybe fate) would have it, the family that Dr. Lauren nannied for during this time recommended that she see their chiropractor. She began seeing a chiropractor and immediately noticed that not only were her sinus issues gone, but she was breathing and sleeping better. For the first time in her life, Dr. Lauren understood how great she was meant to feel and the true meaning of being healthy. She also couldn’t help but notice how every time she visited her chiropractor’s office, how happy she and everyone else there was. It became very clear to her that chiropractic was something she wanted to dedicate her life to. She immediately began researching chiropractic colleges across the country to attend, once she received her undergraduate degree from Drake University. The dramatic change and improvement in her quality of life led her to change career paths and go to chiropractic school. Dr. Lauren attended the prestigious Palmer College of Chiropractic in Davenport, Iowa for her chiropractic education. During her time at Palmer she went on a humanitarian mission trip to Brazil to provide chiropractic care. Prior to this trip Dr. Lauren knew she loved working with children, but her belief was much stronger after returning. Dr. Lauren has had a life-long dream to work with children and families. She has always had a love for children and knew when she decided to become a chiropractor she could make an impact on the lives of many families. Because of her own struggles as a child with sinus issues, asthma, and allergies she knows how important it is to be healthy and be able to live a life without being sick all the time. 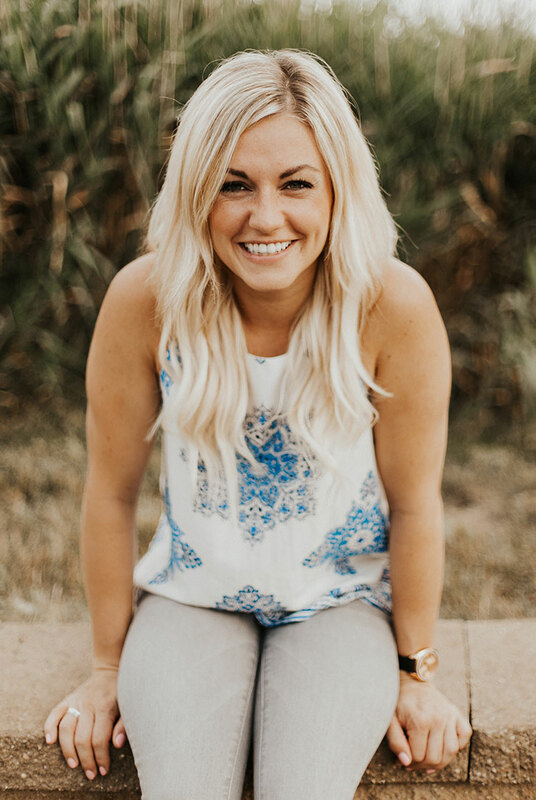 Because of Dr. Lauren’s dream of for caring for children and families she began her certification through the International Chiropractic Pediatric Association during her internship and since completed over 200 hours of additional training in pediatrics and pregnancy. Dr. Lauren also knows the importance of chiropractic care during pregnancy and has been certified since 2014 in Webster’s Technique through the ICPA. Since being in practice, Dr. Lauren has cared for many families in all different stages of life. Her favorite part of being a chiropractor is seeing the changes in people and the amazing improvements in health that so many people are able to experience. She is a member of the International Chiropractic Pediatric Association, the Mequon-Thiensville Chamber of Commerce, and she also is a Girls on the Run coach. "Dr. Lauren is wonderful! After having a bad experience with another Chiropractor I was reluctant to try another one again. Dr. Lauren is super nice and really takes the time to explain things so you really understand. I was experiencing some issues with running and fitness. I chose Dr. Lauren because she also runs and really understands the athletic mechanics. I will definitely recommend her to others!" "Cute, clean and comfortable office with super easy parking -- literally a few steps from my car to the door (a lifesaver when you have little ones). Dr. Lauren and her staff are so friendly, you instantly feel comfortable and like you've been a patient for years. My kids love getting adjusted like mommy does and this is the healthiest we've ever been - I literally can't remember the last time we were on an antibiotic." "The BEST!!! I started seeing Dr. Lauren before I was pregnant, continued throughout my pregnancy, and now postpartum. She is super knowledgeable and works wonders! Great office and excellent care." "Dr. Lauren knows what she's doing! She kept me healthy and comfortable throughout my entire pregnancy. I slept so well after getting adjusted. She is also excellent with children. My daughter had constant fluid in her ears for two solid years. Three months after she started getting regular adjustments, the fluid was gone." "I love Well Family Chiropractic! Dr. Lauren makes sure everyone is taken care of. She does not rush through my adjustment. She is so kind and helpful! I have had neck pain for years and she has helped relieve the pain. Dr. Lauren has also guided me to live a healthier lifestyle." "Dr Lauren has gotten me out of so many problems I could not even begin to list them. This place is beautiful with 5 star care and service. I highly recommend any one contemplating chiropractic care to call Well Family!" "Dr. Lauren gives such personalized attention and care to each and everyone of her patients! She was a phenomenal resource throughout my pregnancy and made sure that baby and I were always in the best place possible." "Dr. Lauren was amazing! I couldn’t be happier with her services and treatment. After one adjustment I can notice a difference and I’m extremely exited to continue working with her. Highly recommended!!!"